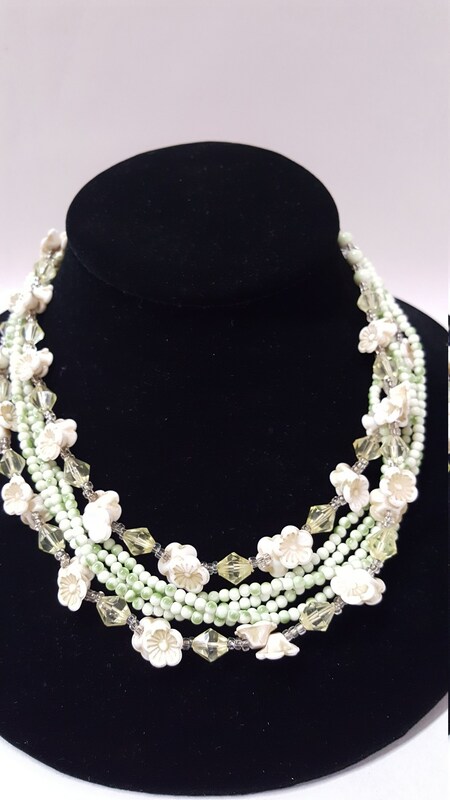 A very fun and dainty flower bead necklace - it is a vintage necklace made in Japan in the 1940s. 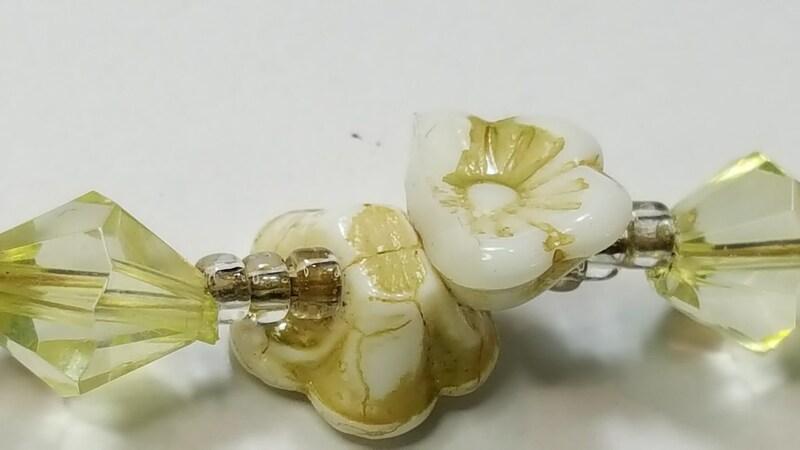 - the flowers are white glass beads that have been painted (probably original, but not sure) "gold". The paint is partially gone so the white shows. 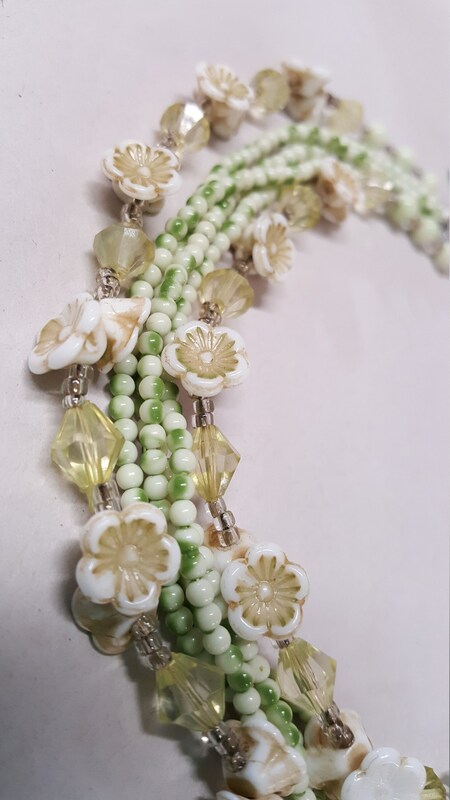 There are also faceted pale-yellow beads spaced between the flower beads. 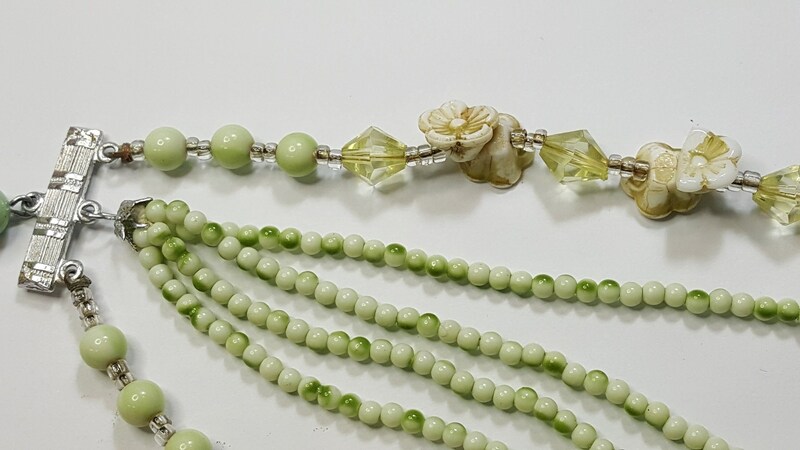 - the middle strand actually consists of 4 strands of small round beads that are green and white (marled). 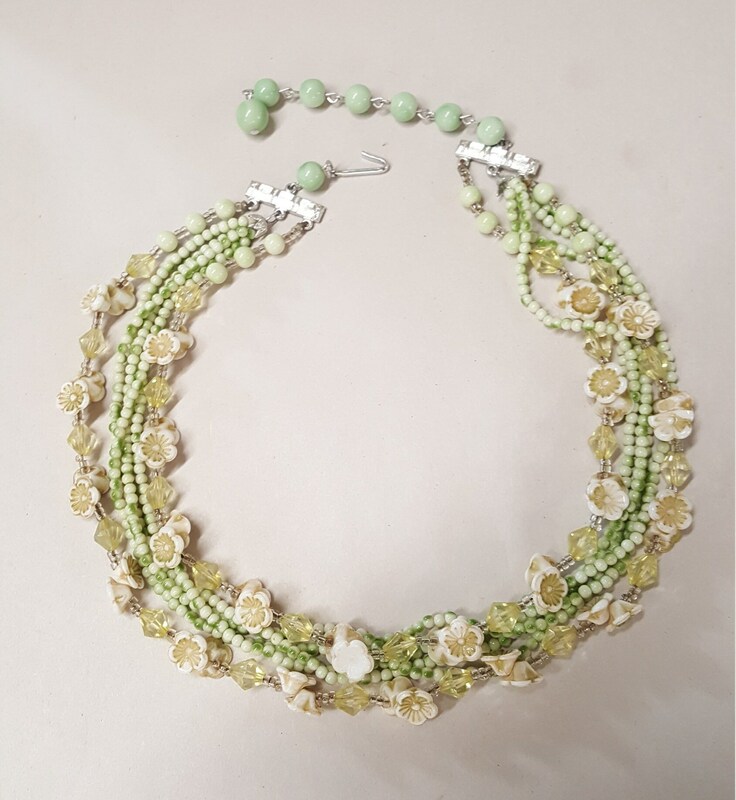 - there are two strands of flower beads and pale-yellow beads. 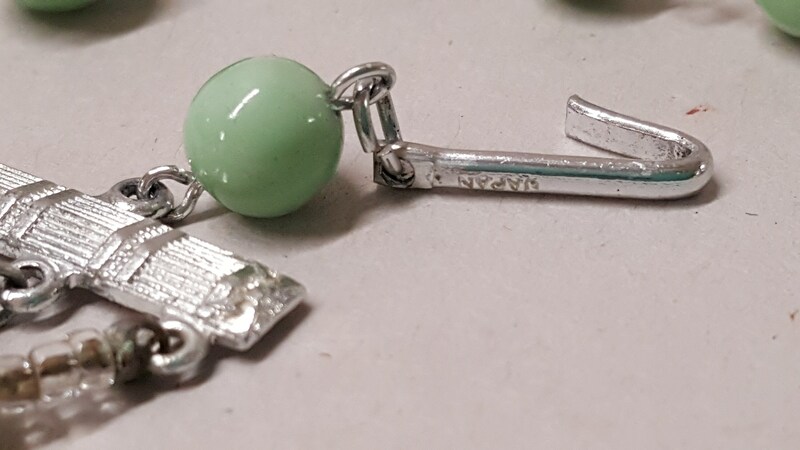 - the clasp is a hook closure - it says JAPAN on the hook. 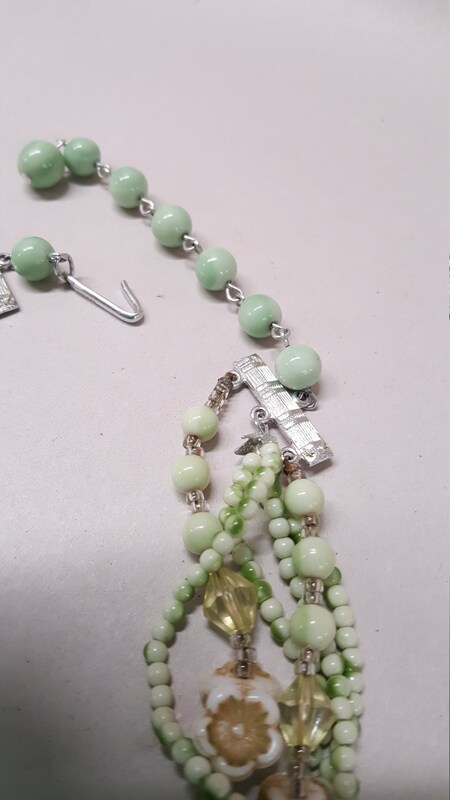 Shortest length of the necklace is 16"
The necklace is in good condition for its age - there is only one flower bead broken - not missing - see photos - if you re-string the necklace you can figure out ow to use less flower beads and so forth - then discard the broken bead.